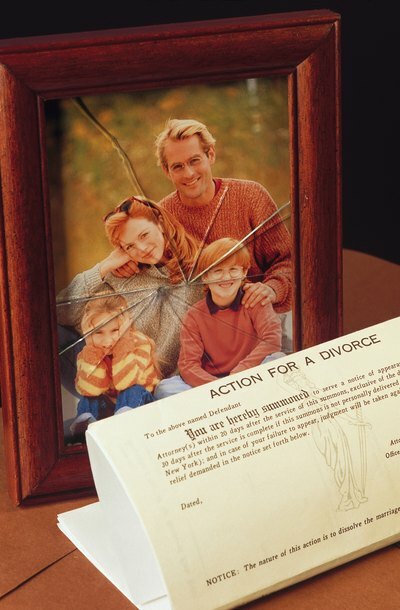 Divorce is never easy, but an uncontested divorce is almost always the best solution for spouses and their children. If you and your spouse reach an agreement that you both are satisfied with, the judge won't have to decide your fate. However, if you and your spouse have lost too much trust in one another to forge your own agreement, or you are at loggerheads concerning custody, spousal support or other key issues affecting your future, your post-divorce fate will rest in the hands of the court. A contested divorce is usually much more costly in terms of money, time and emotional trauma. An uncontested divorce is defined as an agreement between you and your spouse. The agreement can occur anytime in the divorce process. You can work out an agreement before one spouse files for divorce, after you file or just before your court hearing. Courts in South Carolina greatly encourage uncontested divorces. It reduces the backlog of cases in family court and enables you and your spouse to get on with your lives on your own terms. As South Carolina divorce lawyer Megan Hunt explains, you and your spouse must resolve a number of issues before the court will approve your uncontested divorce. You have to agree on how to divide your assets and debts, which can include major decisions such as ownership of the house. Spousal support must be resolved if one party asks for alimony. Critical decisions must be made concerning the children. Who gets custody? What visitations rights will the noncustodial parent receive? Who pays child support and health insurance for the kids? These can be thorny issues, but you must resolve them in order to have an uncontested divorce. Mediation is required by family law courts in many counties in South Carolina. A mediator is a neutral third party who meets with both spouses in a safe and confidential setting. Mediators are often able to get both parties to look toward the future rather than wallowing in the recriminations and anger created by the breakdown of the marriage. If a court orders you to participate in mediation, you are only required to make a good faith effort to settle your differences. If you don't succeed, your case then goes to trial as a contested divorce. If you reached an agreement, the judge will go over it with you and your spouse when your case goes before the court. She will clarify any ambiguities in the agreement and ask both of you if you have any questions about it. Once the judge is satisfied the agreement truly represents the wishes of the parties, and all major issues have been addressed, she will ratify it and grant the divorce. Atkins Law Firm: What Is an Uncontested Divorce?